Microsoft has been releasing its own apps on Android lately, but it’s apparently looking to buy one now. Financial Times reports Microsoft is swooping in to snap up keyboard maker SwiftKey for $250 million. SwiftKey is running on millions of Android devices, plus the ones from OEMs that license and re-skin SwiftKey. Now Microsoft could extend its reach to all those devices very soon. As neither company is talking (we’ve reached out to SwiftKey), it’s impossible to know what Microsoft has planned. The AI technology in SwiftKey’s predictive engine is certainly interesting, as evidenced by the impressive performance of the alpha app it released a few months ago. It seems likely Microsoft will keep offering the app on Android with such a huge user base. And hey, maybe they can just cram Cortana in there too? 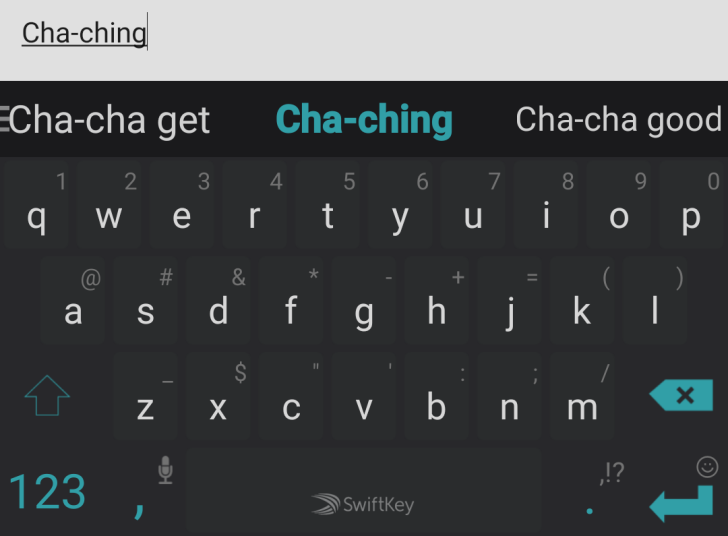 SwiftKey has been one of the top keyboard apps on Android for years, even when it was a paid app. Finding the premium app model didn’t suit it, SwiftKey moved to freemium in 2014. SK has never talked about how successful it has been at selling themes, but they won’t have to worry about that anymore with big daddy Microsoft paying the bills. The deal will be made official later this week according to Financial Times.